Congratulations Guys ! So proud of you All! So... Do we still need Indian help for our IT sector ??? Hope SrI Lankan Government will recognise them and utilized their potential for the development of our Country. So proud of you guys! Congratulations! We need more higher educational institutions like the University of Moratuwa. Welldone ! Congrats ... Whats next ? This country needs to have a proper mechanism to commercialise this idea (and any new local innovation). Isn't it worth targeting a US$ 20 billion market? Good luck ! Great achivement and congrats to the team don't loose your head as yet. 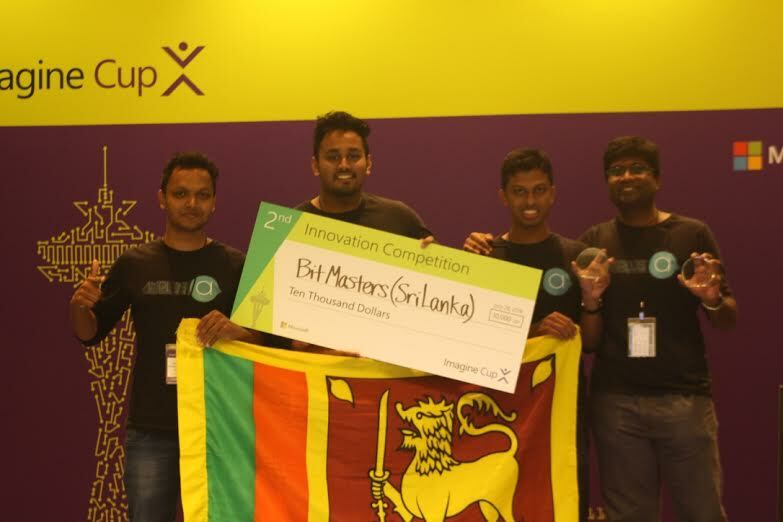 We always knew that our educating youngters are brilliant; especially Moratuwa Campus Engineering. Congratulations Boys!